The tropical pool at Crown Spa. It’s known as the world’s most liveable city, and the Australians are known for their enviable work-life balance. So it should come as no surprise that the Melbourne is home to a number of day spas that stand ready to treat residents and visitors to some seriously relaxing me-time. But at these five day spas around Melbourne, you’ll find everything from pampering spa treatments and cozy water lounges to grooming rituals and even some food! The Indulgence Suite at Crown Spa. 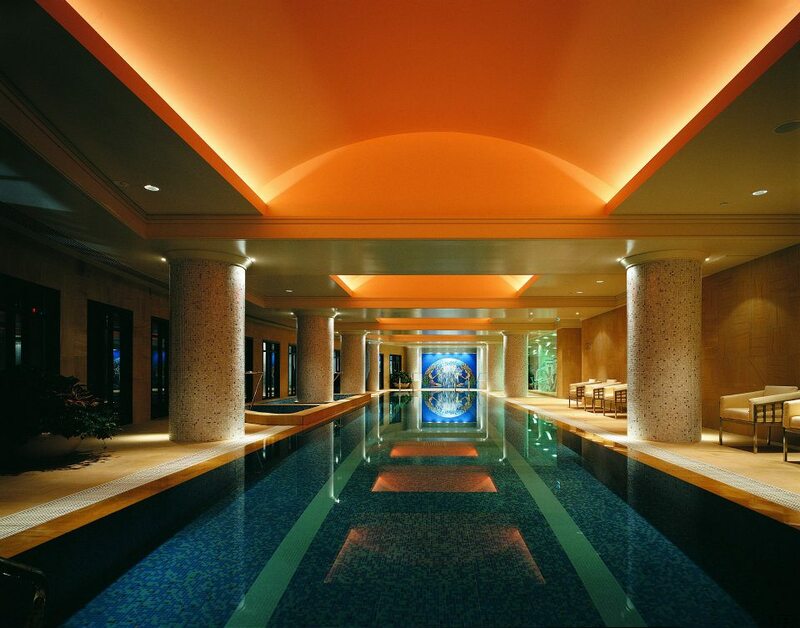 You could easily spend a full day at this lavish spa at Crown Towers hotel and still go back for more. Tucked into a discrete corner of the Crown complex, you’ll find everything you need for total relaxation and rejuvenation right here. The extensive treatment menu offers all manner of spa packages, massages, facials and body treatment, including a number of exclusive journeys by homegrown skincare brand Subtle Energies. For a thoroughly blissful experience, book Subtle Energies’ “The Recovering Traveller” program, a two-hour experience that includes meditation, a 90-minute massage, a ayurvedic nasya treatment, and a mini-facial. Round out your ritual with a visit to the Aqua Retreat’s vitality pool steam room, and tropical oasis-like swimming pool — you can even order room service if you get peckish. Got a big night ahead? Book into the salon for a hair makeover, and get your nails and makeup done for a head-to-toe look to impress. 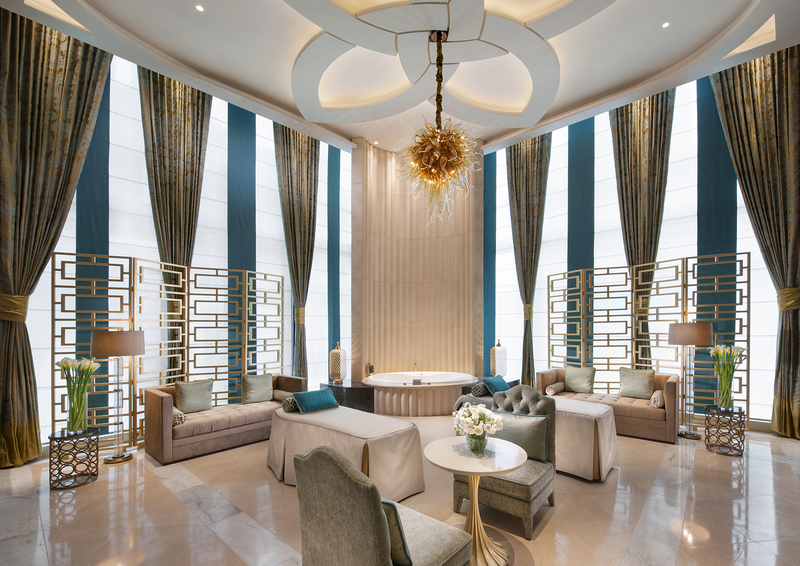 This contemporary day spa in the heart of the city (at The Langham, Melbourne, specifically) fuses the healing traditions of the east and west in a holistic experience designed to detox, renew and relax. There’s a full complement of treatments on offer, but choose one of the Chuan Escape packages that combine several of the spa’s signature rituals — packages range from 90 minutes to three hours. All treatments use Australian-made Chuan products or exclusive marine-based offerings from French skincare line THALGO, and incorporate elements of Traditional Chinese Medicine. Linger a little longer with the spa’s Tri-Bathing Ritual, which features the hotel’s pool, saltwater jacuzzi, sauna, and river stone snail shower. 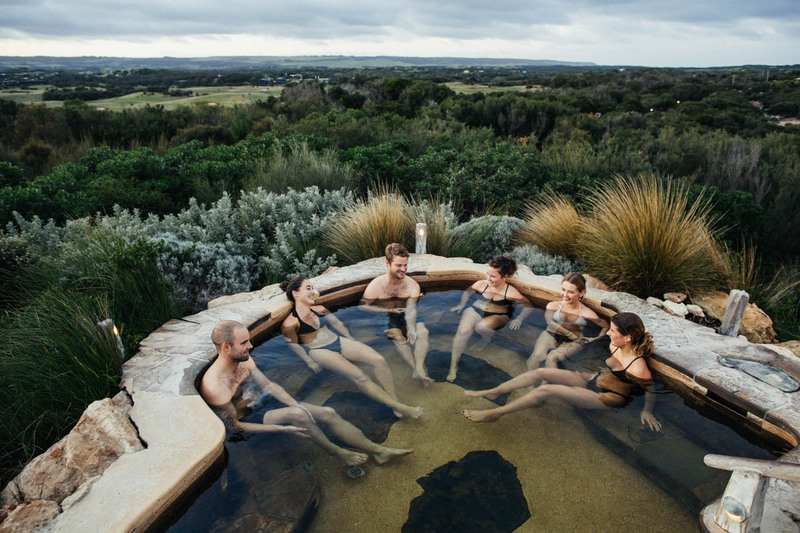 Perched on the edge of the Mornington Peninsula, just an hour and a half from the centre of Melbourne, this sprawling outdoor oasis is arguably the pinnacle of Australia’s bathing culture. This all-encompassing wellness center features a collection of outdoor bathing pools with waters heated to between 38 and 42 degrees. Don’t miss the hilltop pool which boasts 360-degree panoramas of the surrounding area. You can also book private bathing experiences in separate rooms, and the onsite spa offers a range of pampering journeys. A range of wellness activities are also offered periodically, including yoga and meditation, as well as hikes through the surrounding area that delve into local culture. Fuel up at the café here, which dishes up wellness-focused plates that are as delicious as they are healthy. This luxe city spa sits on the fringes of the CBD, but you’ll feel a million miles away when you check in. A number of massages, facials and body treatments are offered, naturally, but there’s so much more here. The salon provides all types of beauty and grooming treatments, while the health club offers a full-service gym, personal training, and nutritional advice. For couples, look no further than the decadent Spa Champagne High Tea package, which includes a 60-minute massage for two, high tea in the hotel lounge, and two glasses of Champagne. VIP treatment room at the the spa at Manor House & Spa at Weribee Park. The wellness unit here operates as a day spa, but if you can’t face the short drive back to into the Melbourne CBD, there’s also a lovely manor-house-style hotel to check into, and a chic restaurant to grab some grub. Spa rituals here incorporate lush products from Payot Paris, and you’ll find everything on the menu from revitalizing facials and relaxing massages to nourishing hair treatments. For maximum treat yo’self factor, book the Moroccan Melt Ritual. This indulgent three-hour package features a private Hammam experience, a full-body massage, a botanical facial, and the spa’s signature orange crème hair treatment. Note: The author visited Crown Spa, Peninsula Hot Springs and Chuan Spa as the properties’ guest. Check out our Outside HK section for more travel guides.